Decadent is exactly what this chocolate mocha pot de creme recipe is all about. Over medium heat, heat cream, sugar, and vanilla in a small saucepan stirring constantly, until it just starts to simmer. Pour this mixture over chocolate and let stand for one minute. Whisk this mixture for 1-2 minutes until combined. 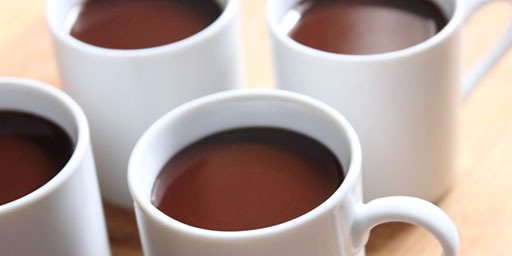 Pour into four small espresso cups. Chill for at least four hours in the refrigerator. Add lightly whipped cream and dust with powdered sugar or cocoa powder.